This year’s Highlights of South Australia tour was run from 20-25 November, through a variety of habitats within South Australia. Covering the Flinders Ranges, outback, Gluepot, Murray River and coast near Adelaide, the trip was guided by Peter Waanders, assisted by Helga Kieskamp. In 6 days the trip totalled 180 bird species including goodies such as 3 species of Grasswren, Scarlet-chested Parrot, Inland Dotterel, Freckled Duck as well as some interesting mammals. Plenty of waterbirds and waders were present here. Good sightings included Australian Spotted and Spotless Crakes. After an early start we spend the entire day exploring the Strzelecki desert around Lyndhurst and Marree. 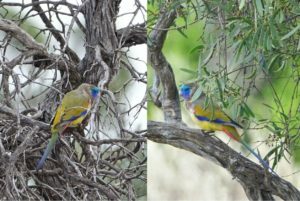 Stony gibber plains, dry creeks lined with ancient Eucalyptus trees, low sand dunes covered in shrubby bushes, and dry floodplains yielded a wide variety of birds. These included Rufous Fieldwren, Little Button-quail, Cinnamon Quail-thrush, White-winged Fairy-wren, Chirruping Wedgebill, Orange Chat and even one Gibberbird. After trying a number of sites we eventually also found a pair of very obliging Thick-billed Grasswrens. At a lake in the middle of the desert we saw Australian Pratincole and many waterbirds including at least 30 Freckled Ducks. 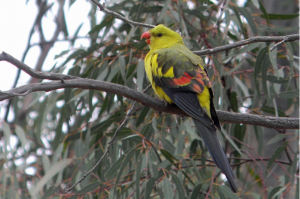 Following the success of Southern Birding Services’ 2006 6-day small group birding tour through South Australia, the same tour with a slightly modified itinerary was run again in 2007. The tour commenced on 9 December in Adelaide, South Australia, and finished there on 15 December. Places visited included the Adelaide Hills and woodlands, River Murray, Birds Australia’s Gluepot Reserve, the Flinders Ranges, the Strzelecki outback desert and coastal areas north of Adelaide. Again through visiting a variety of habitats the species list was maximized resulting in a total of 185 species, including some highly sought after species. 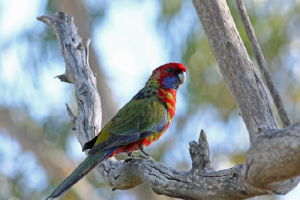 South Australia is a relatively un-explored state from a birding perspective. 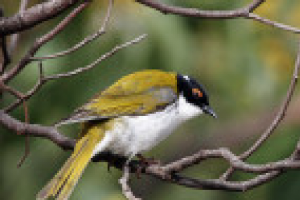 Habitats range from the dry red interior to the lush and green Mt Lofty Ranges; wetlands and mangroves; estuaries and floodplains; vast expanses of semi-arid mallee scrub, and outback deserts with spectacular mountain ranges. 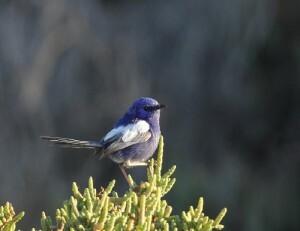 Some unique bird species including a small number of endemics can be found here. 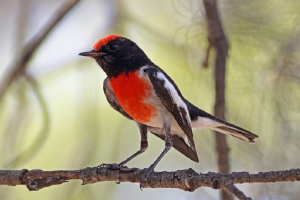 This small group birding tour took in a variety of habitats thereby maximizing the species list – a total of 191 species were seen including some highly sought-after species. The tour started on 9 December in Adelaide and finished there on the 15th. Places visited included the Adelaide Hills and woodlands, River Murray, Birds Australia’s Gluepot Reserve, the Flinders Ranges, the Strzelecki outback desert and coastal areas. The small group (4 people), some fresh off the plane, were enthralled by the sight of over 3,000 Banded Stilts, a nomadic species that breeds in inland desert lakes that only flood once every few years. A Marsh Harrier caused most of the stilts to temporarily fly up, an amazing sight in the light of the setting sun against the backdrop of the Adelaide city and hills. Among hundreds of over-wintering Sharptailed Sandpipers at least three Curlew Sandpipers were found. 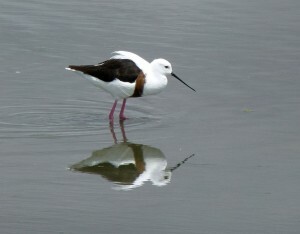 Other wader species present included Red-necked Stint, the resident Red-capped Plover, Greenshank and Marsh Sandpiper.